Connect two available data generating ports of your LANforge server to the DUT, an unmanaged switch. Run traffic and observe results. 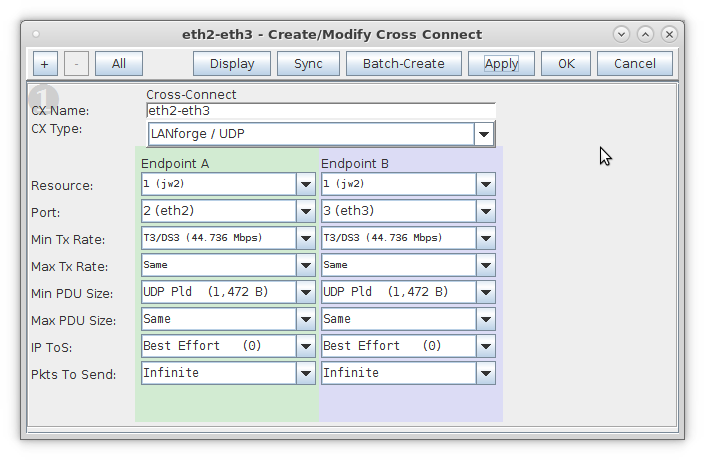 In this case, the overall throughput of the DUT is approximately 76Mbps. 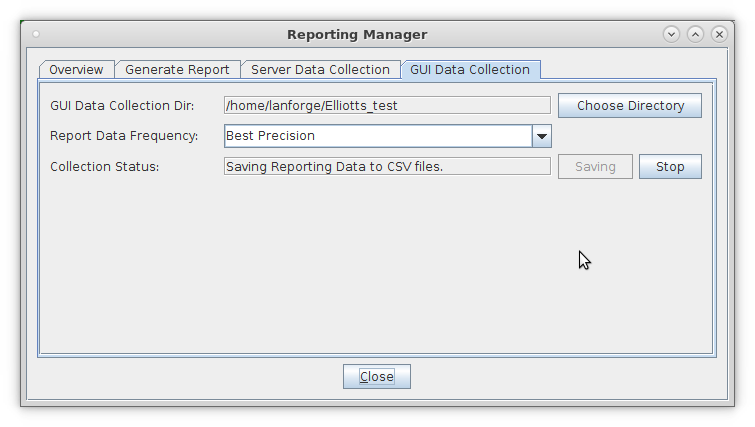 The Report Manager can also be used to record the throughput over time. Select the GUI Data Collection tab. Choose a directory to save raw (.csv) data. Click Save to start the data collection. After desired test duration, click Stop. NOTE: Your report will look cleaner if you stop traffic about 2 minutes before you stop saving data. 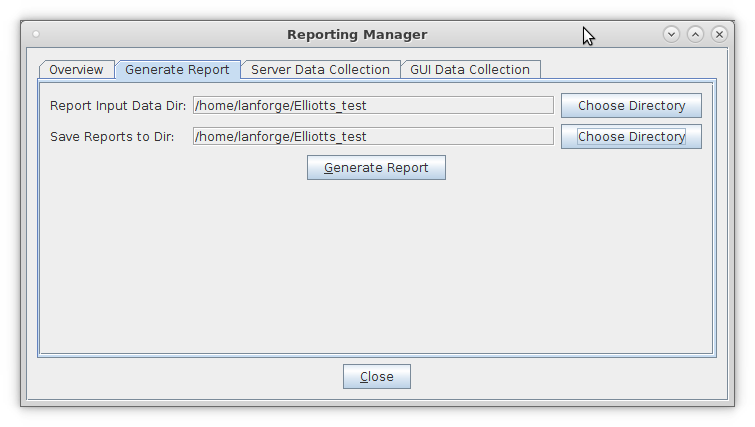 In the Generate Report tab, choose a directory to save the HTML report. NOTE: Make sure your directory name does not include any special charicters such as apostrophes. This window lists all the reports being generated. 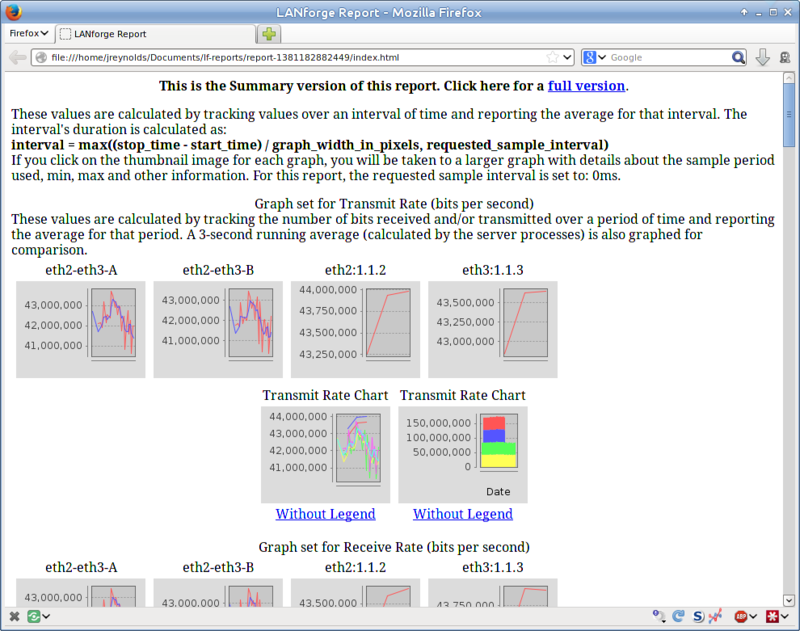 The last line indicates the location of the HTML report.